Don't panic if you've suddenly seen photos that are several months old resurface at the top of your Facebook News Feed: you haven't just stepped back in time. It's a known bug and Facebook is currently trying to fix it. Users started reporting the issue as the weekend began and based on media reports it seems to be reasonably widespread. 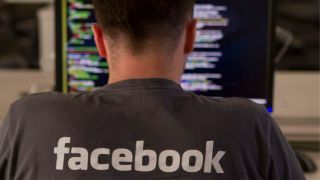 The problem is certainly substantial enough for Facebook to have taken notice and started the process of poking around inside its code. "We are aware of this and are investigating," a Facebook spokesperson told PCMag. It seems the posts are being published as new (without any comments or likes), but from the updates that have been seen so far, only previously shared images are affected - so you won't suddenly see your private pictures show up on your timeline. Of course there are several Facebook features that rely on bringing back old posts for a regular nostalgia blast, including the "year in review" highlights packages that start appearing at this time. It's possible that one of these integrated functions has gone haywire, but there's no official word yet. In the meantime the best option for users is to double-check their feeds and delete anything that shouldn't be there. Remember this serious Facebook bug from just last month?